Is This Richard Petty Edition Ford Mustang GT Worth $70,000? Hey, it was made for "The King." NASCAR legend Richard Petty manages to keep busy these days. He has his own shop and museum, and, as expected, still loves to drive. That’s why in 2015 he had a one-off Ford Mustang GT built, which he then donated to the Paralyzed Veterans of America non-profit organization. And now it appears a nearly identical version of that Mustang has come up for sale again through Chicago Motor Cars. The price? $69,800. It’s officially called the King Premier Edition Coupe, only 43 were built, and it comes with a ton of Petty’s Garage add-ons. Some of these include a Magnaflow center exhaust kit, race inspired rear spoiler, 3-way adjustable front and rear sway bars, Katzkin leather package, 3-piece forged wheels, big brake kit upgrade, and a tri-color stripe package. And, of course, The King himself autographed the dash plate and upper radiator. Power comes courtesy of the familiar 5.0-liter V6, only it’s been supercharged for a total of 670 hp. Of course it has the six-speed manual. This particular Mustang King Premier Edition has had only one previous owner and there’s just 410 miles on its odometer. 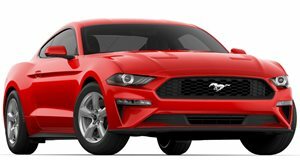 Whether you’re a Richard Petty, or even a NASCAR fan, this extremely rare supercharged Mustang GT is already a collectible, and will likely only increase in value in the years ahead. Photos courtesy of Chicago Motor Cars/eBay.